Janice is a exceptional realtor. Had used 2 others in past and she worked circles around them. Her experience with us was so attentive and kept us in the knowing of our house at all times. If you want your house sold, call her. I cannot recommend Janice enough. She went above and beyond in helping me sell properties in OK while I live in OH. She made the process smooth and painless while keeping me informed all along the way. I also feel that I have a life long friend in Janice. Janice is by the best realtor anyone could ask for. Not only is she extremely friendly, she bends over backwards to make your search and experience as painless and efficient as possible! Our family has used her services several times! Deffinitely try her out! Thank you, Alyssa for your kind words!! You and your sister were a pleasure to work with and hopefully will do it again in the future!! Selling our home was a challenge & Janice worked hard. She walked us through every step of the process & we knew she was always praying with us for great God results! Janice helped me buy a condo. She kept me informed through the whole process. She was always av!ilable to answer any questions. Fortunately Janice had the knowledge and contacts to guide me through the pre purchase steps, as well as the financing. We couldn't have asked for a better realtor. We have used Janice twice now and she is awesome ! 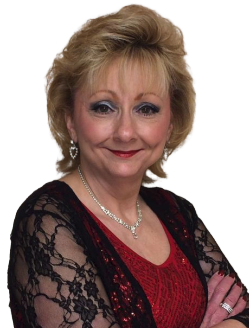 She is very knowledgeable in the Real Estate business and works hard to help you in any way she can. Thank you Sweetie!! I appreciate your kindness with your review and how that you always encourage me by sharing my listings on social media!!! The BEST realtor ever! Truly a blessing and the greatest to work with. I appreciate her to the moon and back for all that she’s done. Amazing woman and an expert at what she does. I had to sell my house short sale and she walked me through all the paperwork and answered all of questions. I was able to presign the paperwork that I needed to sign for closing before I moved. It was a really emotional time in my life and she was my rock. Thank you so much for the kind review. Short sales are not easy for the seller and you were amazing to work with through it all. May the LORD continue to guide you as you seek to serve HIM there. Love you, my friend. Janice helped us purchase two homes. She also assisted us in our decision to lease our first home. She took the time to talk with us and provided us with the tools and information necessary to decide whether to sell or lease -- Janice went above and beyond. 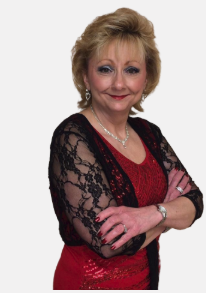 She is knowledgeable and very responsive as a realtor, but more importantly, Janice is a trustworthy and caring person. She is truly committed to helping you find the right home. Janice has been my realtor on three different occasions, listing and selling two homes and helping us find a home to purchase. In each instance, she gave solid counsel and worked hard to get the job done. When necessary, she went the extra mile (and then some) to sell our home. She was a pleasure to work with at all times. I would not hesitate to recommend Janice for your real estate needs, or to engage her services again to buy or sell a home. Janice was always professional but also very personnal. she wanted the best for us and worked hard getting it. She takes her job seriuosly but makes you feel like we are her only clients. She would go up and above to do what was needed. I would never use another realtor. Janice sold my house in one week at full price because of her excellent marketing plan. Partnered with Coldwell Banker Select's excellent service and I can say that I will come back to her for all my real estate transactions.